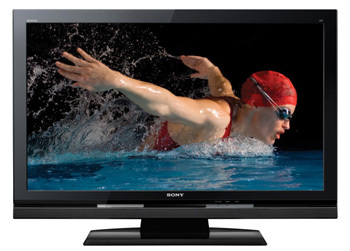 Sony has introduced several new Bravia televisions for it's 20082009 lineup – each containing its own unique feature set. Below is a breakdown of current Sony Bravia models both in the XBR series and the regular series. 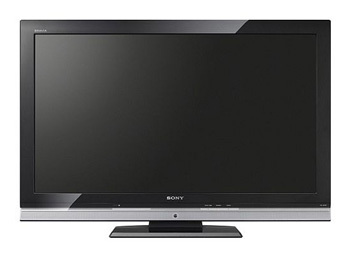 New for 2009, Sony will be releasing the Bravia XBR9 series of LCD televisions. While LED backlighting is all the rage at CES 2009, the XBR9 TVs won't be using it. It does feature a 1080p, 240Hz panel (120Hz in the 32" model) and is available in 52", 46", 40" and 32" sizes. The XBR9 series will also feature internet connectivity for Yahoo Widgets, 4 HDMI Inputs, an improved XMB interface, media streaming from networked PCs, PC input and compatibilty with Sony's Bravia Link Service. The new BRAVIA VE5-series models offer substantial power savings thanks to a zero-watt standby power switch, along with motion and light sensors that minimize energy usage without compromising performance. "Sony is constantly ranked as one of the most environmentally conscious consumer electronics companies in the industry," said Randy Waynick, senior vice president of Sony Electronics' Home Products Division. "Our new Eco TVs represent the company's commitment not only to saving the environment, but also to saving consumers money through lower power consumption." Sony's new Z-series models feature an Ethernet connection, allowing the sets to directly access Sony BRAVIA Internet Video content using an existing broadband connection. The service offers one of the largest selections of free and premium movies, TV shows, sports, music and more from an array of partners like Amazon Video on Demand, YouTube(R), Yahoo! (R), Slacker, and others. Rather than the entire bezel being swapped out, Sony has given owners of the XBR6 series the option of changing out the speaker grill to another color. The unit comes standard with a silver speaker grill. The XBR6 models are the lowest tier of the newer models for 2008. They are available in 5 sizes – 32, 37, 40, 46, and 52. However, the 32 and 37 inch LCDs have their own styling. 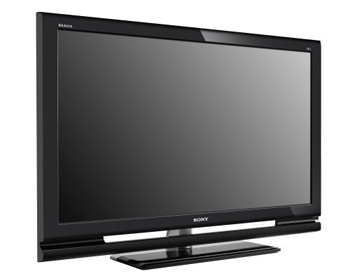 The 32" and 37" Sony Bravia models do not contain the 120Hz MotionFlow technology present on the larger XBR6 models. They also lack the TV Guide Onscreen feature and the optional colored speaker grills. The KDL-40XBR6, KDL-46XBR6, and KDL-52XBR6 to contain 120Hz refresh rate. They house a USB port for easy playback of music and photo gallery. There are 4 HDMI inputs as with the prior models. Continuing from the XBR5 series will be the Pro Full Video processing technology which has helped Sony bypass many competitors by providing superior processing for smoother imaging. The PRC-MFv2.5 processor creates a high density video signal that most processors cannot match. Taking some technology improvements from the XBR4 series, the Bravia XBR6 series will continue with 10 bit processing matched with a 10 bit 1080p display panel. The XBR7 series comes in two sizes only – 40" and 70". Sony must have spotted a gap niche in the marketplace in these two sizes. In addition to the enhancements on the XBR6 series LCD such as 120Hz refresh rate for eliminating motion lag, and DLNA compliance for more accurate color information, the XBR7 series Bravia also incorporates the next generation Bravia Video engine 2 EX video processing (40") and the Bravia Engine 2 Pro digital in the 70" LCD. This technology takes the previous Pro Full digital video processing to a new level of eliminating video noise, motion artifacts, and motion blur. There is also an added RS-232 port in the XBR7 series (to help those installers). Sony continues to use its impressive and well received XrossMediaBar user screen with the Enhanced XMB menu system. 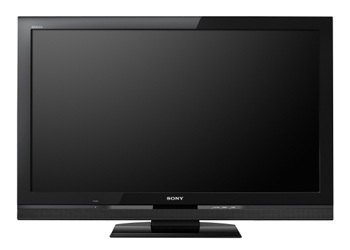 Sony's top of the line offering for 2008 is the XBR8 series LCDs. In addition to many of the standout features present on the XBR5, XBR6 and XBR7 the KDL-46XBR8 has a local dimming feature for improved contrast in "localized" areas of the screen in order to enhance contrast in some areas while leaving it as is in others. This is accomplished partly through use of the new LED backlight contained in the XBR8. It's an interesting feature and we're looking forward to testing it as soon as this model (due out in September or October of 2008) comes out. Another step up feature of this LCD is LED (light emitting diode) backlighting (rather than the standard fluorescent style bulbs). This will drastically improve the brightness and thus the contrast of the LCD over other models. Sony calls this specification TRILUMINOS RGB LED because it contains all three color LEDs. Also present in the KDL-46XBR8 are the DLNA compliance feature for more natural color rendition, and of course the ubiquitous specification for all new Sony LCDs – the ever present optional colored speaker grille. The V4100 series features 120Hz refresh rate and 1080p panel. It also contains the Sony-exclusive features like the XMB (Xross Media Bar®) with 3D graphics, DMex capability so you can add functionality to your TV, and picture quality technologies like ACE (Advanced Contrast Enhancer) and BRAVIA Engine 2™ that make images come alive. It has a gloss black design frame and 24p capability for getting the most out of Blu-ray Disc™ and DVD movies. There are 4 HDMI inputs. What's the difference between the V4100 series and and W4100 series? Great question for these easy to confuse model numbers. Our staff cant find much difference. It appears the dynamic contrast ratio is listed for the W4100 series at 30,000:1 while it is not listed for the V4100 series. It may be that the W4100 has higher contrast. The likely reason for the different model numbers is that the products are sold through different retail channels (outlets).